Glow cheek to cheek. Anti-aging blush. 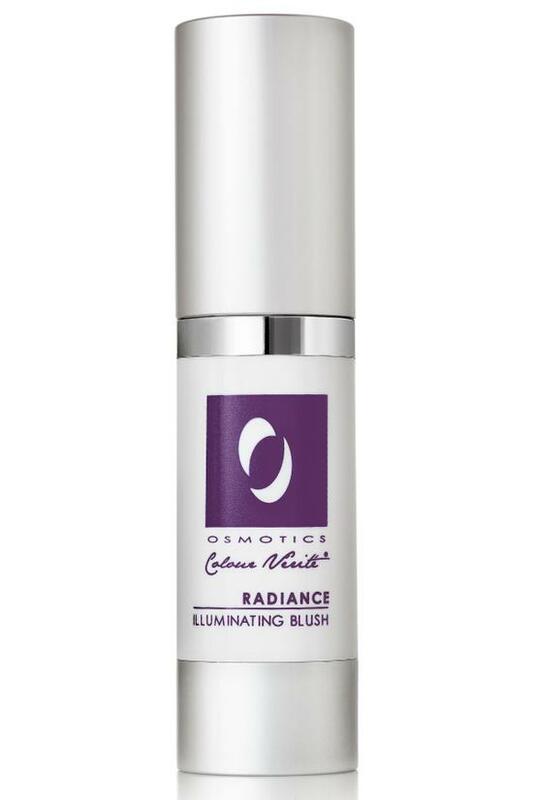 The epitome of rosy-cheeked radiance, this new blush from award-winning Osmotics is infused with their signature anti-aging formula to flush cheeks with a luminous, candle-lit glow. Gently stipple/pat small dots to cheek bones and blend upward. Lightweight yet concentrated formula is buildable so use sparingly. Water, Cyclopentasiloxane, Dimethicone, Propanediol, Prunus Amygdalus Dulcis (Sweet Almond) Oil, PEG-100 Stearate, Glyceryl Stearate, Cetearyl Alcohol, Dimethicone Crosspolymer, Evodia Rutaecarpa Fruit Extract, Glycerin, Diazolidinyl Urea, Iodopropynyl Butylcarbamate, Carbomer, Tromethamine, Polysorbate 20, Disodium EDTA, Panthenol (Vitamin B-5), Retinyl Palmitate (Vitamin A), Tocopheryl Acetate (Vitamin E), Titanium Dioxide, Stearoyl Glutamic Acid, Red 7 Lake (CI 15850), Yellow 5 Lake (CI 19140), Iron Oxides (CI 77499).